Blueberry harvest is late this year. Late but abundant. After what happen last year, we were so thankful. 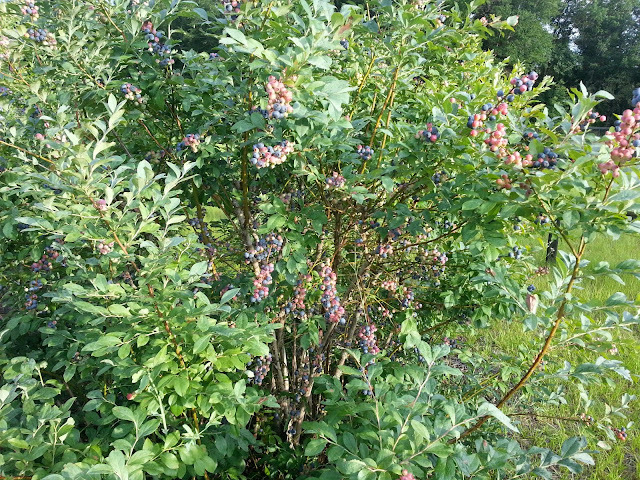 Because of the cloudy weather we had this spring, our blueberries are rather late coming in. We've been harvesting a few for the last couple of weeks, but they are just now truly starting to ripen in earnest. A late harvest is better than no harvest at all. Last season, because Ol' Bill got a l-i-t-t-l-e too enthusiastic with the pruning shears the previous fall, for the first time we missed a harvest. It took until mid season last summer before any leaves appeared. 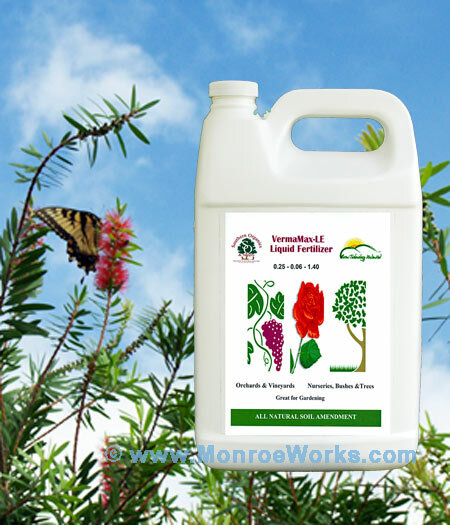 I, an eternal pessimist, feared the bushes were dead. But by summer's end, there was healthy new cane growth. Then, this summer, after castings/VermaPlex® applications last fall and again this spring, the bushes exploded. Ol' Bill was so shell-shocked from his pruning debacle, he dared not touch the bushes (lest I remove several of his fingers) and let the bushes go wild. We even have fruit stems coming out of the ground! Never had that before. 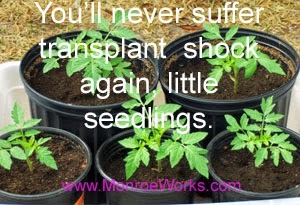 I can take care of the "low hanging fruit" harvesting and I wont even need a bucket or anything. I just eat them as I go. There's going to be plenty for us, the neighbors, and the birds. Kayce's making room in the freezer for our blueberry harvest and Ol' Bill's feverishly studying responsible blueberry pruning. Pruning is going to get a thorough review between now and harvest's end. I'll see to that. Some removal of the flower stems would have been beneficial and made for easier harvesting, but the missed harvest of last year made cowards of us all. We just wanted some blueberries. Natural, slow release - just what blueberries need. For more and bigger berries with better taste, broadcast twice a year. VermaPlex® is made from these worm castings. 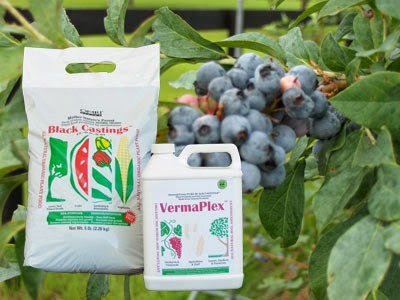 For stunning results, apply to blueberry bushes in Spring and Fall after applying worm castings. 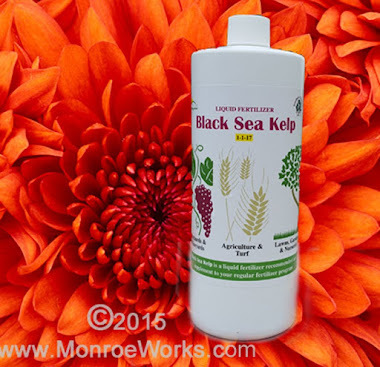 Adds microbes and promotes plant and soil health. 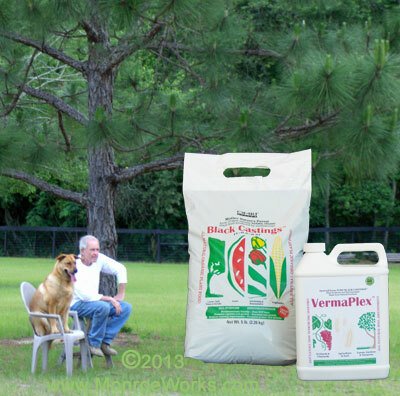 All about worm castings and VermaPlex®: Prepare to be amazed!